There's never a good time to have heartburn, but when you're having good fun and good food with family and friends, heartburn's gotta go - fast. 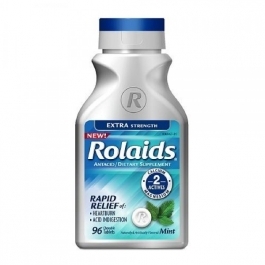 Wherever life takes you next, bring ROLAIDS® Extra Strength Tablets for fast, powerful relief from heartburn symptoms. Chew 2-4 tablets as symptoms occur, or as directed by a doctor. As a daily source of calcium and magnesium, chew 2 tablets twice daily.